On a typical night, my brain races with anxiety, worried about everything from getting fired to being kicked out of therapy to whether or not my air conditioner will fall out of my window. For hours, I lie awake — until I feel two small, warm bodies cozy up next to me. My cats. As a sexual abuse survivor with PTSD, more often than not my mental health is somewhere between jumping out of my skin or unable to get off the couch. In these moments, it’s the comforting presence of my cats that helps anchor me to reality. Mine is hardly a unique experience. Many cat owners who deal with mental illness have found cats to be of enormous help as well — and a surprising amount of empirical research backs up the particular role cats can play in providing mental-health therapy. The author with her two cats, Cricket and Peanut. A National Center for Biotechnology Information study found that spending time with an animal can increase the hormone oxytocin. Sometimes called the “cuddle chemical,” oxytocin increases pet owners’ sense of well-being. In addition, playing with a pet can increase serotonin and dopamine levels, two chemicals key in regulating mood disorders such as depression. But while many animals have documented mental health benefits, it’s dogs that seem to get all the attention. A quick Google search for emotional support dogs yields nearly 5 million results, while emotional support cats get only 2.4 million hits, with a link to a dog-specific site on the first page of results. Animal-assisted therapy providers also tend to favor dogs; among many examples, Therapet in Tyler, Texas, has more than 90 dogs on their roster and only five cats. Therapy animal provider Paws Patrol in Albany, Georgia, features more than 25 dogs and two cats. The University of California, Los Angeles’ People-Animal Connection therapy program works exclusively with dogs. The popularity of dogs in the role of therapy and emotional support may have something to do with the fact that cats are commonly viewed as anti-social, aloof, or independent. But not only is this partly rooted in widespread misconception (more on this later), the fact that cats are more independent and individual than dogs is actually the very reason they make for such valuable therapy animals. Chassman practices animal-assisted psychotherapy, where animals serve as an integral part of a client’s mental health treatment plan. While Chassman works with a variety of animals in her practice, including dogs, horses, and goats, it was a cat who first turned her on to the idea of working with animals more than 20 years ago. 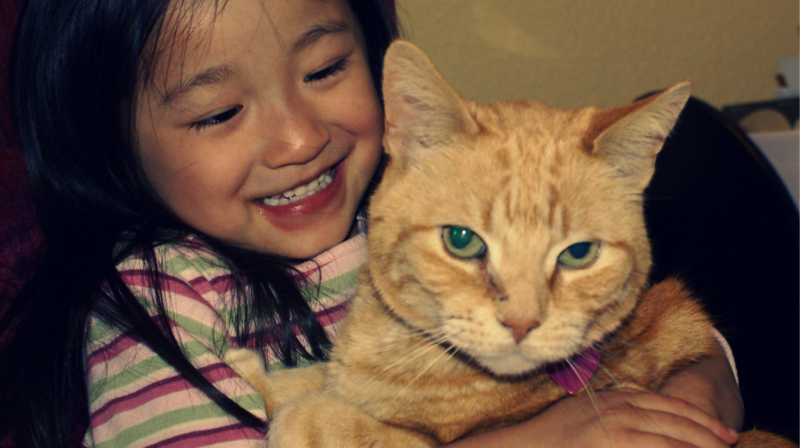 While working with severely traumatized children, Chassman’s cat Norman got involved in the process. Through learning what behaviors Norman wouldn’t tolerate — such as rough housing or yelling — the children began to understand how to interact in a healthy relationship. Like humans, cats won’t tolerate all behavior, making them useful mirrors to human interaction. Three-legged cat Sigmund, from Animal Assisted Therapy Programs of Colorado, with his buddy Jason. Cats aren’t just helpful for mirroring couple and family dynamics; they are also critical in helping people who struggle with mental illnesses such as post-traumatic stress disorder or anxiety learn about emotional regulation. Though most animals respond favorably to being pet, having clients strive to get a cat to purr can make all the difference. Unique to cats, not only does purring provide a tangible goal for emotional regulation, it has its own health benefits as well. Other studies, too, have illuminated the benefits of having a cat by your side. A study by the Cats Protection agency in the UK surveyed 600 participants, half of whom struggled with their mental health. They discovered that 87% of cat owners found their cats to have a positive effect on their well-being. In addition, 76% reported cats made regular stressors easier to manage. Cornwell College student Filipa Denis studied the benefit of human attachment with cats, and found that humans who were attached to their cats experienced great calming effects from the relationship. Cats also fulfill the human need for touch, especially for those whose mental illness prevents them from easily forming attachments with other people. 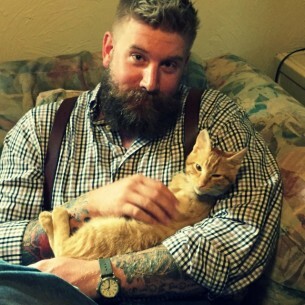 Contrary to popular belief, cats can be affectionate and attached to their humans as well. For forming attachments, providing companionship, and easing mental health symptoms, cats can be an ideal emotional support animal for at-home companionship as well. Though only dogs and miniature horses qualify as service animals, cats can be considered emotional support animals, designated as “comfort animals” to those with mental illnesses. Accommodations for ESAs are not as extensive as service animals, but they do qualify for protections under the Fair Housing Act. For example, ESAs must be permitted in housing with a “no pet policy,” as landlords are required to provide “reasonable accommodation” for those who rely on an animal for support. To qualify for an ESA, a mental health professional must supply an official letter. Cats may be often overlooked, but whether serving as a critical companion at home, an official emotional support animal, or a part of the healing process in therapy, they can greatly improve our mental health. 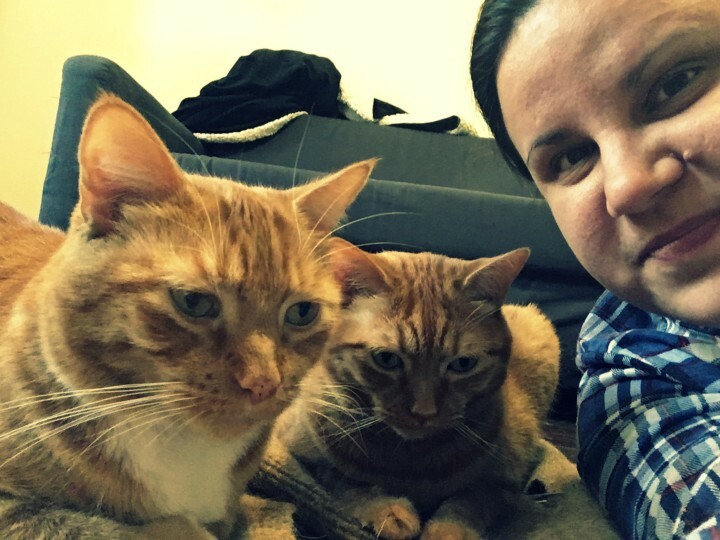 My cats have become integral to my own mental health — and I wouldn’t have it any other way. They make sure I get out of bed in the morning and keep me moving forward. Their playful antics bring me joy and their warm presence at night helps me fall asleep. Most importantly, their constant companionship reminds me that I have value and purpose.